Lifedoor is a smart device that allows your door to close in automatically in the event of a fire. This significantly increases the safety of your home to help contain a fire and give you and your family more time to escape or wait for the fire department to arrive. Joel the co-founder of Lifedoor is a fireman and designed this product to save lives after experiencing a tragic on duty incident as a fireman that a device like life-door could have prevented. A real world tragedy that inspired a man to make the world a safer place. Why fire safety is important and how you can protect your family from fires. Check out our blog posts (https://www.onehoursmarthome.com/blog/) and other podcast episodes (https://www.onehoursmarthome.com/podcast) for more episodes. Stream it by clicking here. Download as an MP3 by right clicking here and choosing "save as" or clicking the three dots on the right hand side of the player. 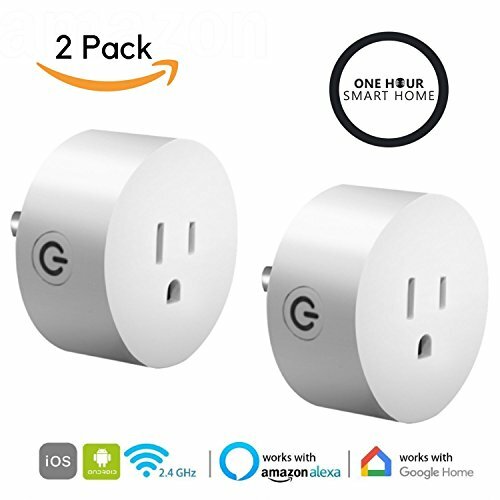 Want to hear another Podcast related to getting started with a smart home and what devices will work with voice?-Listen to our podcast about "How to Start Your Smart Home: #001"
Smart WiFi Controlled Plugs-They work with wifi, Amazon Alexa & Google Home to give you seamless voice control of your home. QUESTION(S) OF THE DAY: What devices do you already have in your home from the Episode? More importantly, how do they make your life better?-Please let me know in the comments below. 1:00 LifeDoor is the smart door that closes when a smoke or fire alarm is activated. Lifedoor was the perfect combination of two careers firefighting and being a builder. 2:50 What does Lifedoor do? Underwriters laboratories says that fires burn hotter, faster, and more toxic than ever before because of the things that we put in our houses. 3:30 The standard response time for a fire is 5 Minutes for a Fire Department. LifeDoor is a smart door designed to extend survivability by closing the door in a fire. This can greatly increase the safety in a home and survivability. 4:30 Lifedoor works by listening to your smoke alarms to close the door. It also will repeat the existing smoke alarm in your home. 6:00 How do you install life door smart door? You can put the Lifedoor on in just a few minutes with a screwdriver. 7:30 How did Lifedoor get invented? Tragic story of an elderly woman who passed because her door wasn’t closed. Joel saw a need that technology could be used to save lives. 9:00 Joel couldn’t find any product that did anything similar, after explaining it to a friend. 10:30 How home automation can save lives using technology. 11:00 What has been your most rewarding day as a fireman? Anytime that they can help someone is a good feeling, second alarm fire and another fire broke out at the same time. It took 10 minutes for the fire department to arrive after the call. The Door Protected the kids from the fire for almost 12 minutes and their lives were saved by having their door closed. 17:51 Lifedoor can help people with limited mobility live safer lives. 20:00 Many commercial properties and hospitals already use similar products because they understand the importance of protecting people with limited mobility. 21:45 The Lifedoor device works with Z-Wave to work with the Samsung and Wink Home control hubs. 23:00 Lifedoor is both a safety device and smart home device. What smart home devices does Joel have in his home? 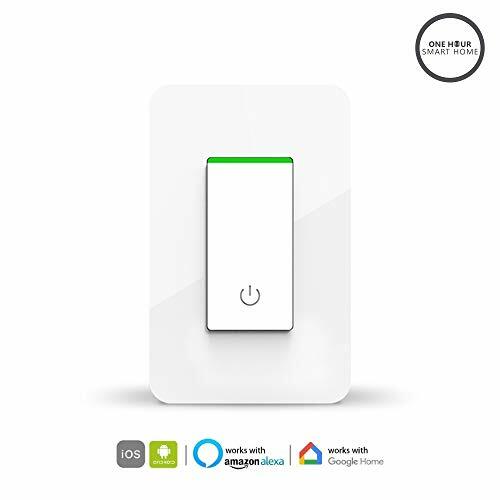 Joel’s Favorite Smart Home Device? Echo Show is Joel’s favorite device because of its functionality, and their daily use of the Echo Show to stream music. Thank you for listening to the one hour smart home podcast. We love our listeners and your feedback. Subscribe to our email list here. Where we share with you the best smart home technology, the latest reviews, tips and tricks to make your life better and with that we'll catch you in the future. This episode was brought to you by the www.onehoursmarthome.com. Comment Rules: Remember what Cool Hand Luke Was like? Cool. That’s how we’re gonna be — cool. Critical is fine, but if you’re rude, we’ll delete your stuff. Please do not put your URL in the comment text and please use your PERSONAL name or initials and not your business name, as the latter comes off like spam. Have fun and thanks for adding to the conversation!